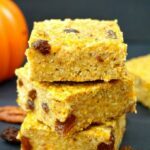 Healthy Pumpkin Oatmeal Bars with pecans and raisins, a guilt-free healthy snack for kids and grown-ups alike. 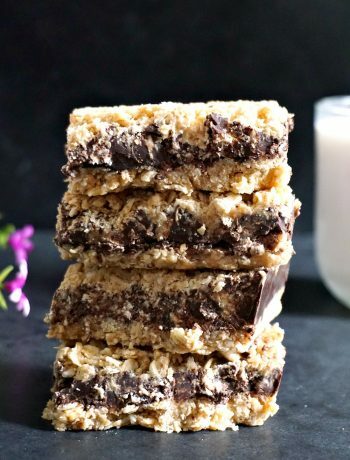 With no refined sugar added, these bars are not only super delicious, but also super easy to make. With Halloween and Thanksgiving right around the corner, we are all looking forward to all those way too sugary treats. So, how about we bake something less naughty today, and actually love it without feeling guilty at all afterwards? Yes, sugary stuff is yummy, no doubt about that, but who’s to say that healthy treats are not yummy too? Little ones will absolutely love these bars, and they can also make some excellent healthy breakfast bars for adults too. They have a sweet taste too, but this is coming entirely from the banana and pumpkin puree, and the raisins that have been added. No refined sugar at all, and you can hardly tell there is nothing nasty in there. 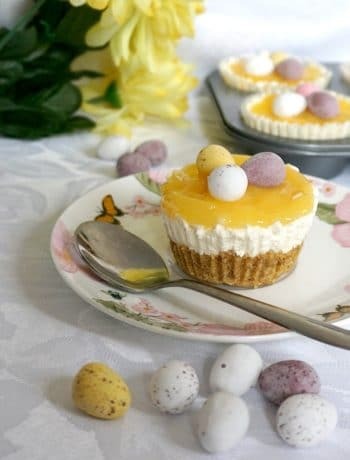 So, if your sweet tooth is craving something yummy, these gorgeous treats will come in handy. They are also great in your little ones lunch box, an afterschool treat or just as a quick snack on the go. The texture is not what you would expect from a store-bought cereal bar, which are usually so hard, I always wonder how they think kids could ever eat such things. Not to mention the horribly large amounts of sugar and other sweeteners they contain. Nope, not good. 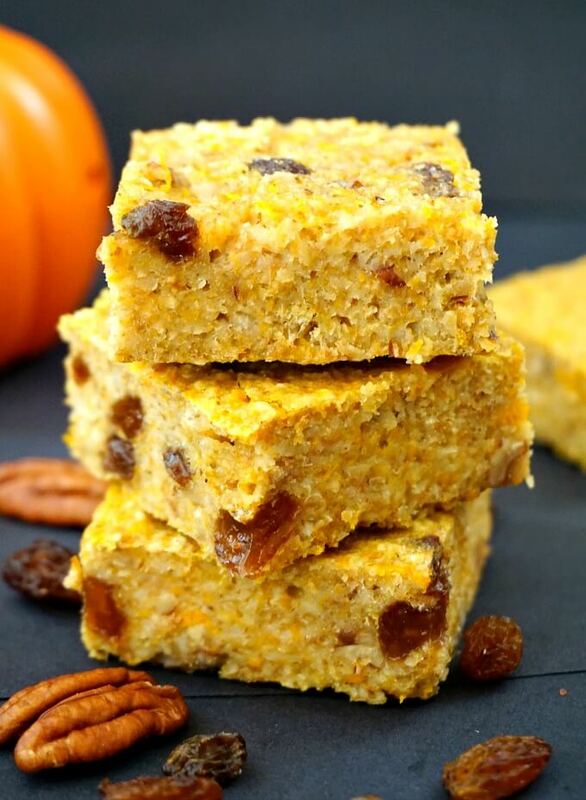 But these healthy pumpkin bars are. They are soft and chewy, and the chopped pecans add a lovely crunch. I absolutely love raisins in any baked goodies, but you could replace them with any chopped dry fruit you like. The pecans can be replaced with walnuts, or, if you really really want a bit of naughtiness in it, add some chocolate chips, they will bring a nice touch for sure. 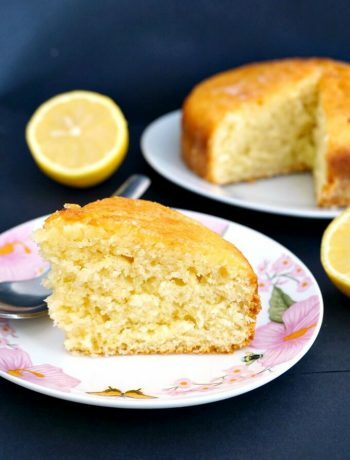 For a gluten free version, you can use gluten free flour, since there is no worry about the oats. I like the porridge oats, which are usually quite fine, but rolled oats can be used instead for a rougher texture. Up to one’s taste here. And if you are looking for some other pumpkin treats, how about some great pumpkin hand pies for Halloween? Not only yummy, but also a great (not so naughty) treat too. 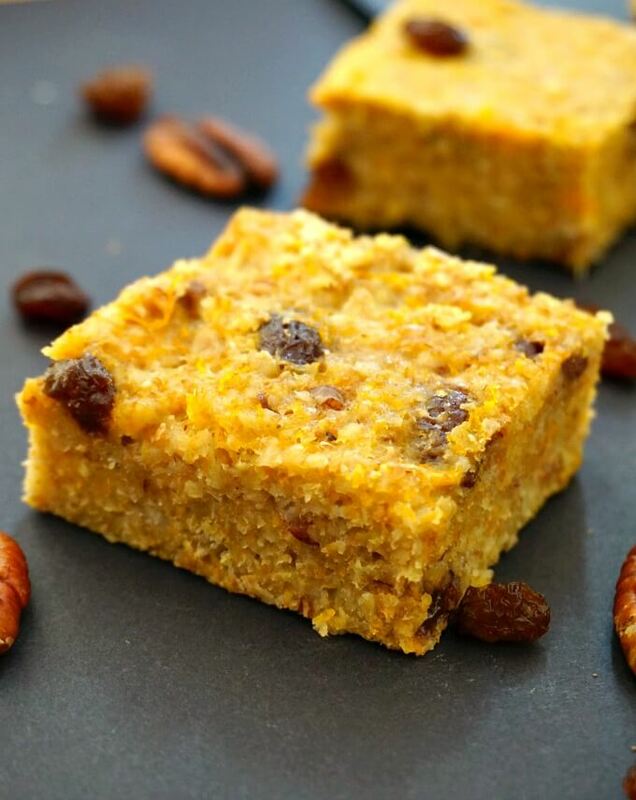 If you’ve tried this HEALTHY PUMPKIN OATMEAL BARS WITH NO SUGAR ADDED or any other recipe on the blog then don’t forget to rate the recipe and let me know how you got on in the comments below, I love hearing from you! You can also FOLLOW ME on FACEBOOK, and PINTEREST to see more delicious food and what I’m getting up to. Pre-heat the oven to 180 degrees Celsius (360 Fahreneheit). 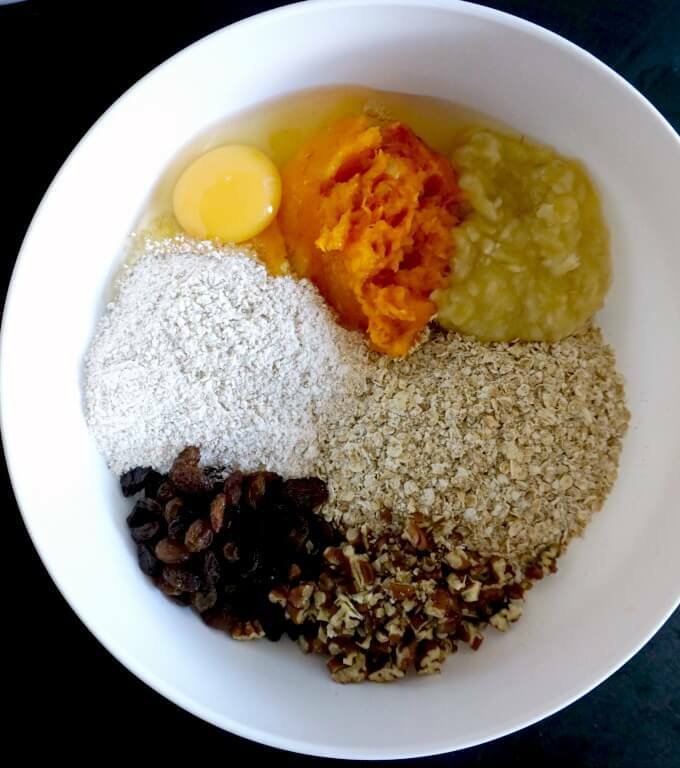 In a bowl, mix all the ingredients together, then line a square baking tray with non-stick perchament and add the mixture to it. Bake for about 35-40 minutes until set through and firm to touch. The fine oats can be replaced with rolled jumbo oats.